Beverly Cleary's Ramona is a very special character. 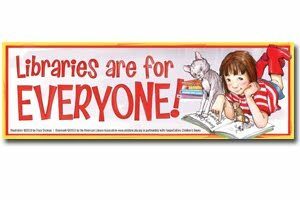 This year, the American Library Association is adding a special "Libraries are for EVERYONE!" poster featuring Ramona reading on a rug in the library. 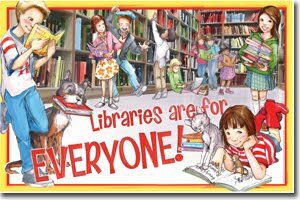 With original artwork by Tracy Dockray, the poster features many of Cleary’s most beloved characters at the library. A Ramona book mark is also available through ALA Graphics.